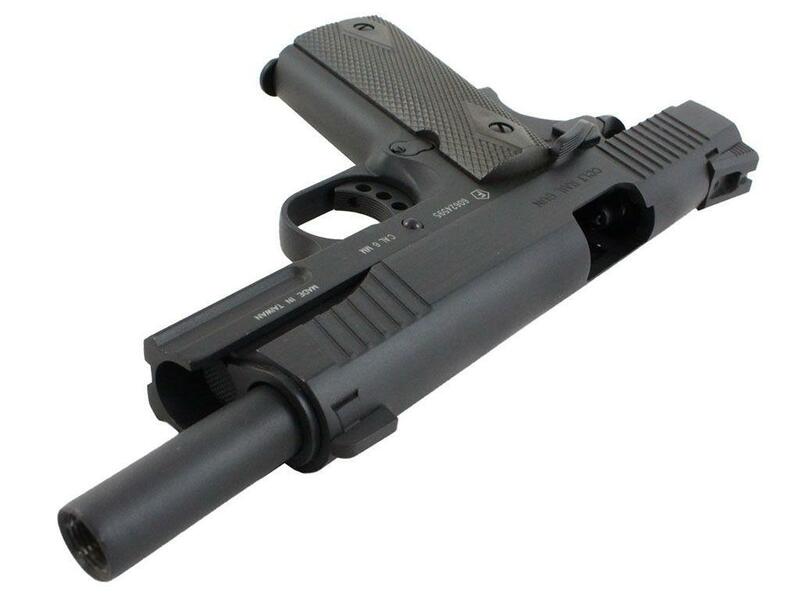 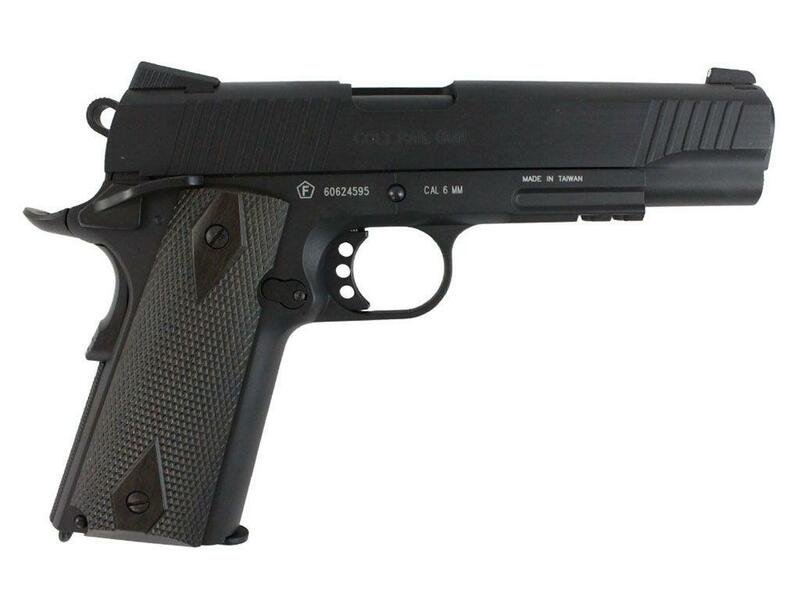 Colt 1911 Rail Gun Blowback Airsoft Pistol | ReplicaAirguns.ca | New Website! 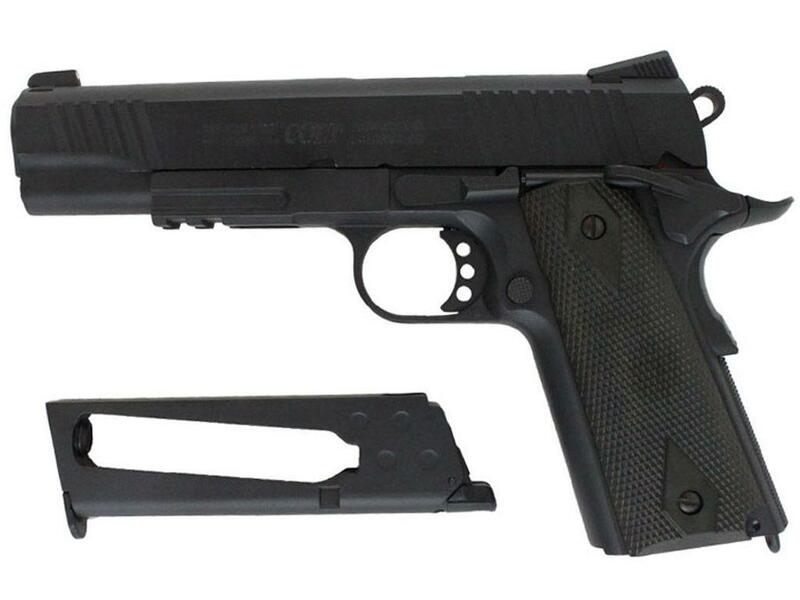 Comments: The classic Colt 1911 Rail Gun has been the pistol trusted by American servicemen, officers and citizens for over 100 years. 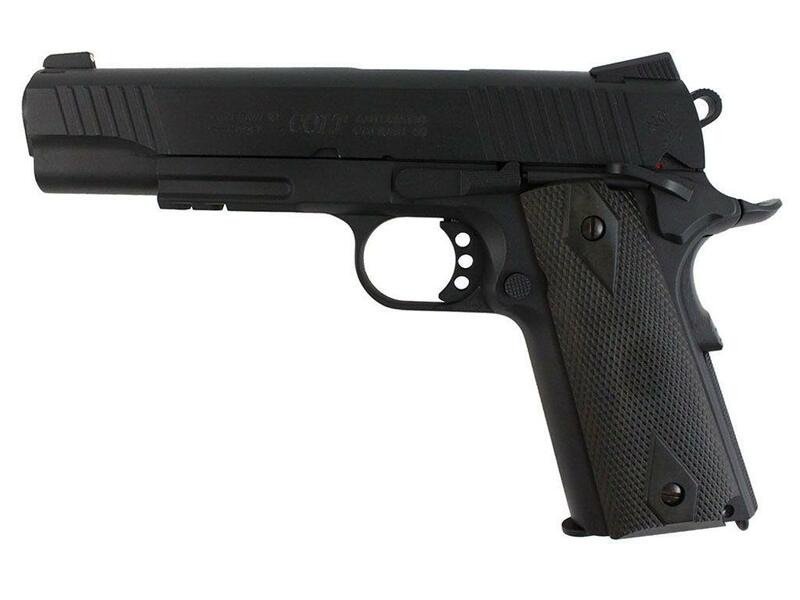 This timeless gun is the longest running military sidearm in the world. 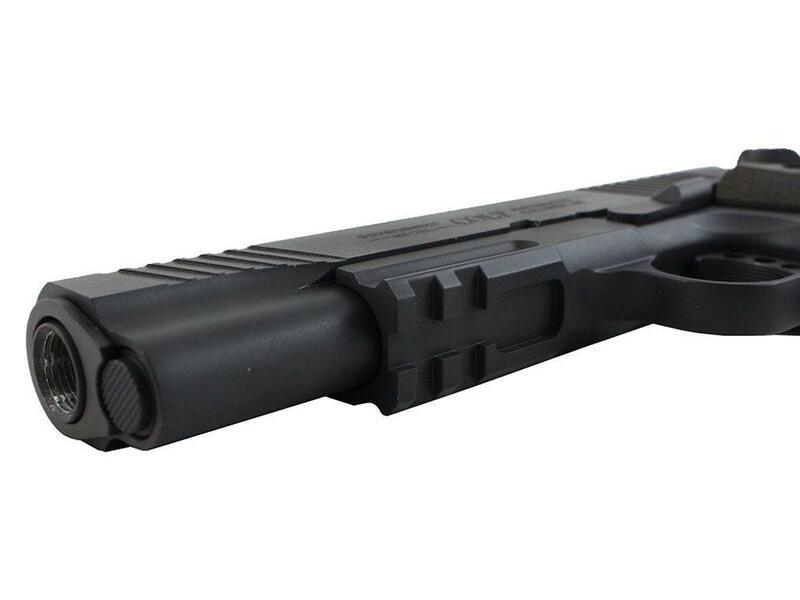 This 1:1 scale replica is designed to deliever a realistic performance. 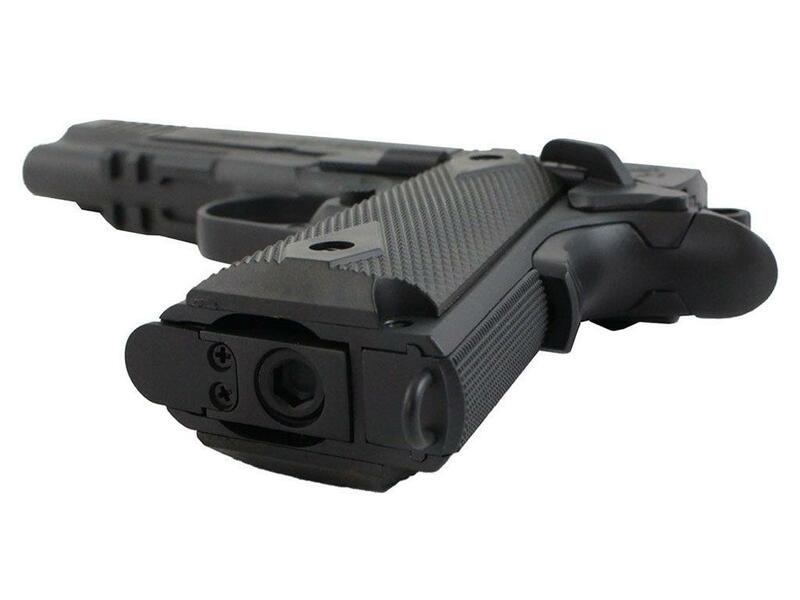 It comes with crisp blowback action, a 20 mm lower accessory rail, and a full metal slide and frame. 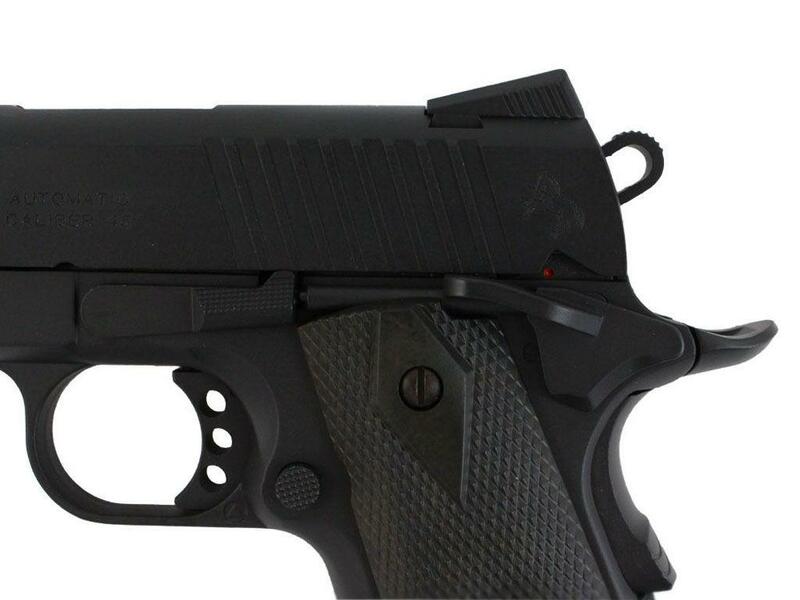 Tri-dot, white combat sights will help you achieve accuracy with every shot.